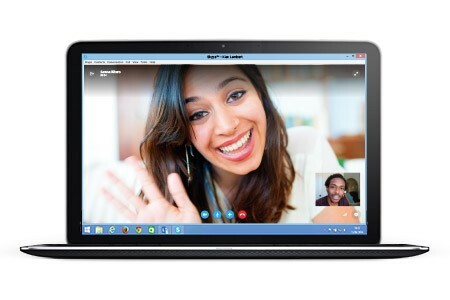 Microsoft is setting Skype a little bit freer by bringing it to the browser. The company announced the news of a beta rollout on Friday with support for Internet Explorer, Firefox, Chrome and Safari. Previously only Outlook.com users had access to Skype in a browser, but now that requirement will be lifted. The company plans to eventually use the RTC, or real-time communications, in Skype for Web; however, this first pass will require the download of a small plug-in. Google began adopting RTC for its Hangouts platform in July to alleviate the need for plug-ins or other downloads, and more recently, Mozilla implemented RTC in Firefox for video chat. I’m sure it will work as advertised on Windows or OS X; however, I’m most curious if [company]Google[/company] Chromebooks — which run atop Linux — will be supported. If not officially, I’ll be trying to fool Skype by switching my Chrome OS user agent to mimic a supported configuration. In the meantime, Skype for Android is actually running quite nicely on my Chromebook Pixel.